I’m rooting on this belief that beverages taste better when it has a story to tell. Often, stories are shared over food and drinks but this time around, it's the beverage that has delicious stories to tell. That’s exactly what SILK ROAD ICED COFFEE is all about. 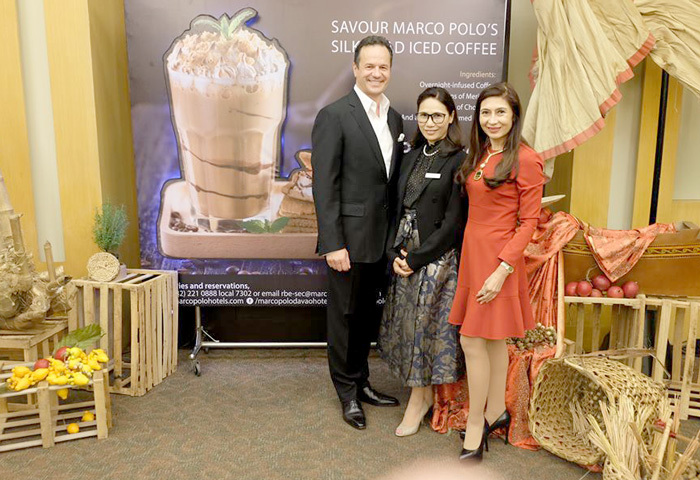 Following the successful run of Marco Polo’s signature Earl Grape Iced Tea, the group has launched yet another signature beverage. 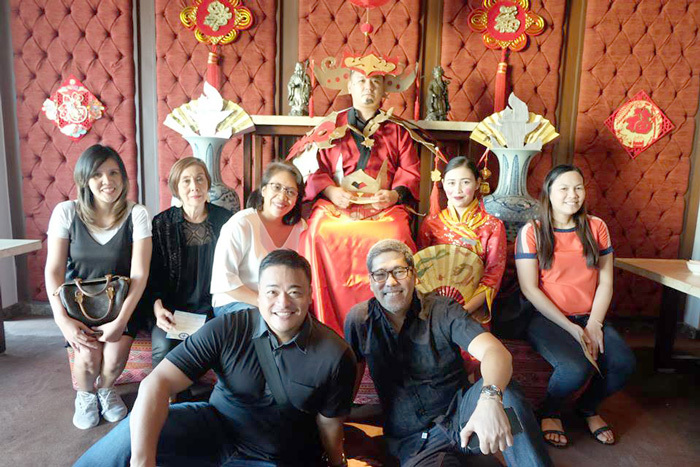 This time, with historic element that brings every drinker to travel down networks of historical trade routes or the Silk Road. Coffee was one of the major produce that was traded on that route; hence, the beverage was named so after. 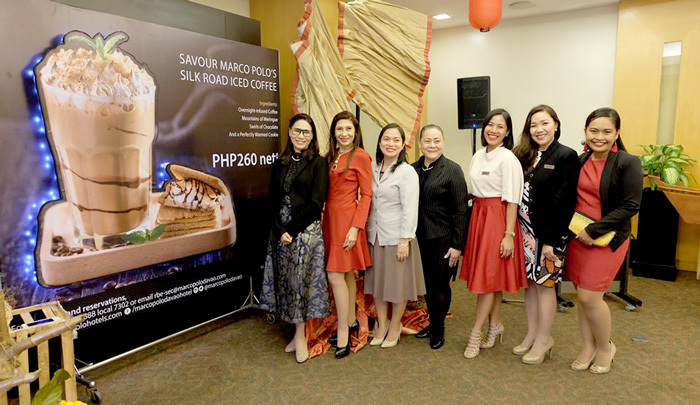 SILK ROAD ICED COFFEE was an upshot of an innovative contest and was eventually taken on to be offered at the group’s thirteen Marco Polo Hotels in China, Hong Kong and the Philippines. This intricately and refreshing crafted iced coffee will be available starting September 1 in over 40 Marco Polo restaurants, bars and in-room dining menus . “We are delighted to unveil the next in the series of our signature beverages for Marco Polo Hotels. The Silk Road Iced Coffee was created during a competitive contest of fabulously designed and deliciously different coffees originated by our General Managers. 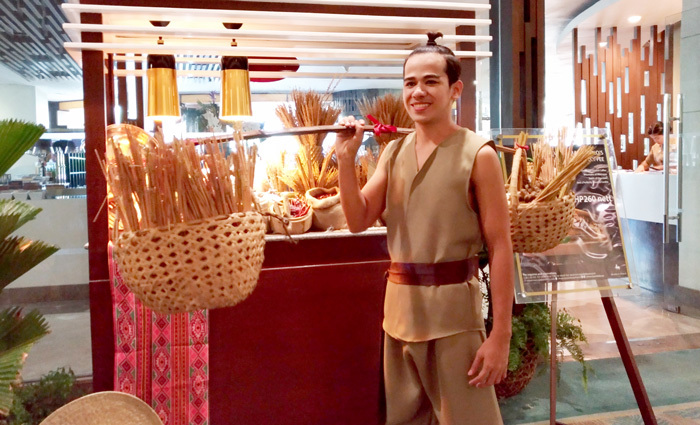 The combination of iced coffee and warmed cinnamon cookies will make it one of the most appealing and flavourful drinks for our savvy guests and connoisseurs of culture, said Mr. Philippe Caretti, Vice President Operations, Wharf Hotels. Oh, Marco! It took me awhile to finally got yah! On this stop, we were asked to name three products that were traded in Silk Road. 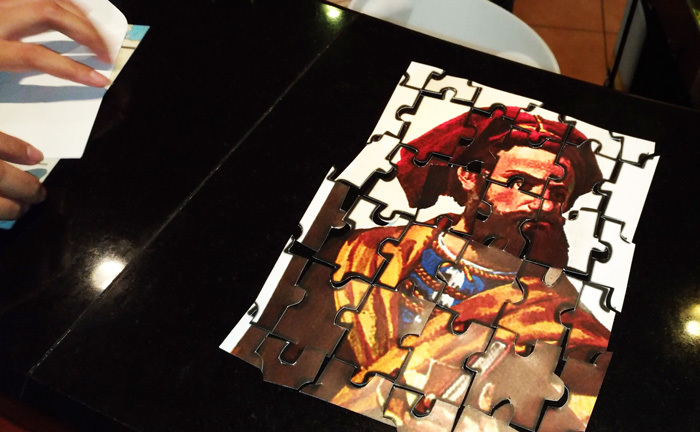 We got it right! Coffee, Spices and Silk! Yay! Got to move on to the next stop. to be given ancient paper bill to purchase our drink. And finally! The glory that's Silk Road Iced Tea. 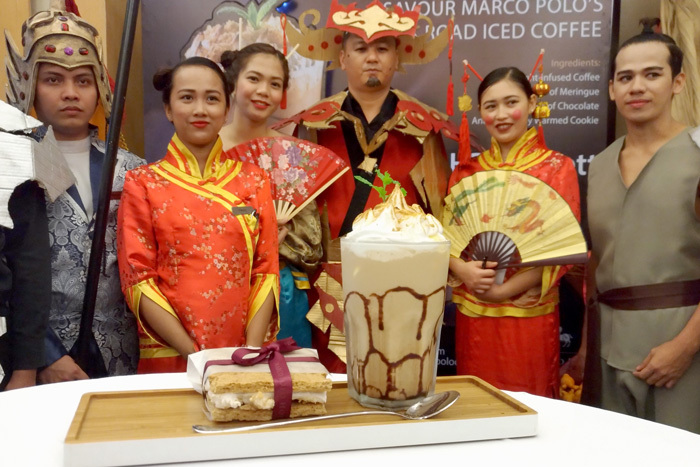 Everyone had fun when Laurence Ibarra, Marco Polo Davao's charming barista demonstrated the making of Silk Road Iced Coffee. Here; take a look! 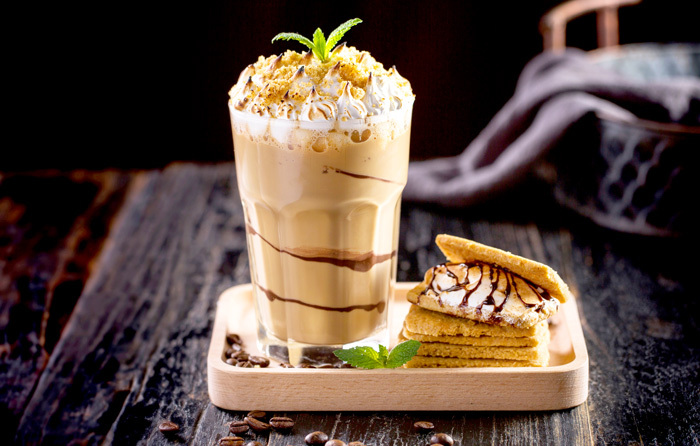 This beverage is created from overnight-infused coffee flavoured with cinnamon syrup and milk, the Silk Road Iced Coffee consists of a blended iced frappuccino poured into a swirled, chocolate-glazed glass which symbolizes the roads well traveled of the Silk Road. This is then topped with marshmallow and burnt gold-peaked meringues that are flambée-finished by blow torch. This emanates the sun-glinting mountains along the legendary trade route. The iced beverage will be presented with a fresh cookie smothering marshmallows and chocolate between Graham crackers, warmed to perfection, inviting guests to explore the history of the Silk Road. Silk Road Iced Coffee is your to indulge for only PHP260 starting September 1, 2017. 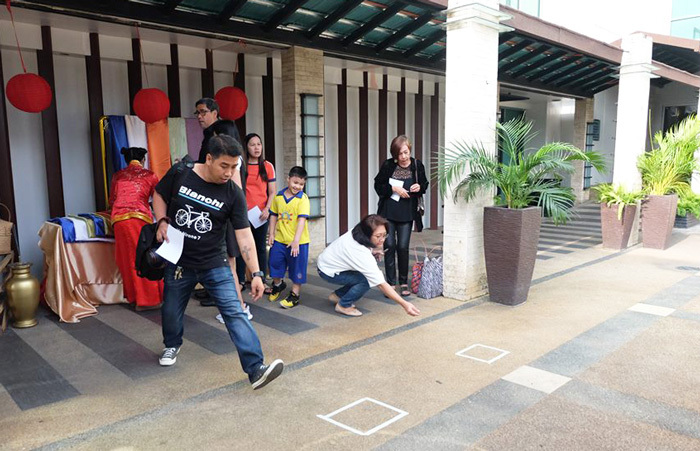 Thank you Marco Polo Davao for having us!